Samsung has recently launched its Galaxy S9 and Galaxy S9+ smartphones in India. 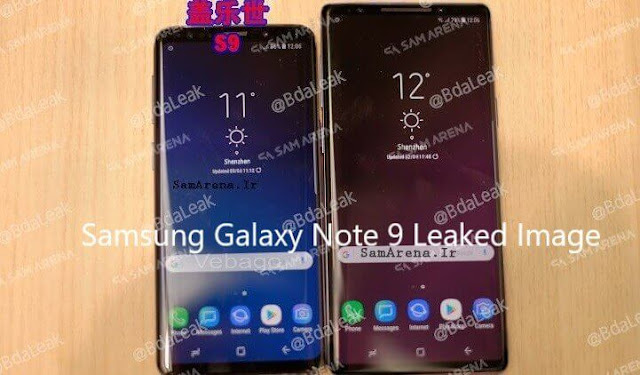 Recently on a GeekBench benchmarking site, the Samsung Galaxy Note 9 with the model number ‘SM-N960U’ has been spotted. Now, images of Samsung Galaxy Note 9 surfers online. It is expected that the Samsung Galaxy Note 9 is equipped with a 3850mAh non-removable battery with fast charging technology and wireless charging support. The device is expected to come with a large 6.38-inch display. As per the images leaked online, it comes with a single camera on the front, a dual rear camera on the back with an LED flash and a fingerprint sensor under the dual rear camera. According to the rumours, the device is expected to be powered by a Qualcomm Snapdragon 845 Exynos 9810 processor which is coupled with a 6GB of RAM that helps the smartphone to run without any lags. The Galaxy Note 9 runs on Android 8.1.0 Oreo OS. Still, there is no information available about the Galaxy Note 9 regarding the price and availability, and as per the rumours it is expected to launch in July or early August.